The day is nearly over. As the sun is preparing its yield to the moon, you are sitting on a soft, sandy beach watching the sun float an inch above the water. Reaching a final descent, the glimmers of the now melting rays dance atop waves as the cool salty air rests upon your bare skin. You pull your sweater tightly around your upper body as your lower half sinks deeper into the sand. Your gaze meets a ship that has been docked all day and you notice a bit of movement. Suddenly a man shouts, “Anchor’s Aweigh”, and the once idle boat sneaks away from the shore, slowly fading into the periwinkle horizon ahead. Although you can’t understand why, you feel sad, as though a piece of you left with that boat. The term “anchor’s aweigh” is often misinterpreted as anchor’s away, which makes sense given that in order for the ship to set sail, the anchor must move away from the sea floor and back onto the boat. Once an anchor starts the process of becoming aweigh, it has just begun to put weight onto the rope or chain by which it is being hauled up. Therefore, when a ship is ready to leave port, the term “Anchor’s Aweigh” is typically used. During this very exciting time, the vessel and its crew prepare to face the open waters ahead. Living in Southern California has afforded me several opportunities to watch boats of all sizes sail off into the sunset. I have often marveled at the ease with which they leave the safe mooring to venture into the vastness of the ocean. Watching the departure often evokes feelings of excitement and melancholy mixed with a hint of longing. Although I have no real connection with these boats or the people on them, like so many instances in life, their presence serves as a metaphor that cannot be eschewed. Like the vessel that ventures off to sea we, too, are given many chances to explore our own unchartered waters. If we are honest with ourselves, we have heard the distant cry of “Anchor’s Aweigh!” drift through our ears and into our hearts. And, once this whisper enters the heart, it dwells steadfast until we are able to answer the call and pull our anchors up from the sand. But, before we can do so, we must recognize what those anchors are. Anchoring a ship serves an important short term purpose in that it provides stability while curbing unnecessary drifting due to water currents. We all have anchors that keep us tied to something in life. Admittedly, some are necessary for short-term stability but others can become a crutch and an excuse to keep us from sailing towards our destiny. Recognizing all anchors will help us to rid ourselves of unnecessary weights so that we can forge ahead towards the authentic self we are meant to become. Anchors that provide temporary support and keep us from drifting before we are ready to fully set sail can serve our short-term needs. This might include a engaging in a seasonal relationship; allowing for a period of time to relieve ourselves of sadness; enjoying comfort food; or even taking prescribed medication. These can serve a purpose for a period of time and can provide us with the strength we will need to prepare for unchartered waters. But, if we cling to any of these for too long, each can become a heavy anchor that will keep us at bay when we are meant to move ahead. There are also anchors that weigh us down for no reason other than to keep up us immobile. They do not serve to support or stabilize, rather, to inhibit movement and growth. I consider these to be rusty anchors that cannot be lifted, but must be untethered from the boat in order to set it free. Examples of these include jealousy; pride; lust; greed; addiction; and fear. What are your anchors? Do you recognize them? If you are feeling heavy, restless, discontent, and/or a strong desire to push forward but are stuck in a rut, close your eyes and visualize that thing that keeps you stuck. This is your anchor. What does it look like? What does it feel like? When you remove it, do you feel light and free? If so, now is the time to aweigh your anchor so that your ship can set sail. Each of us are vessels traveling the earth on uniquely prepared journeys. It is your choice to move forward or to remain stagnate. You are the captain of your vessel and have the power to shout “Anchor’s Aweigh!” anytime you wish. What are you waiting for? It’s time to sail and explore your authentic self. Ceremonial ship launching is a ritual that has been practiced for thousands of years. It includes rites such as christening the vessel by breaking a sacrificial bottle of champagne over the bow and/or naming the ship prior to launch. Likewise, it is important to celebrate and name your unique journey. One way of doing so involves creating a ritual or ceremony in honor of your decision to move forward. Begin this process by identifying the anchor weighing you down. Next, write down a plan for lifting the anchor (see the list above for ideas) and start your journey with a celebration. You might even choose to name your journey. Make sure to mark your progress and to celebrate benchmarks along the way. 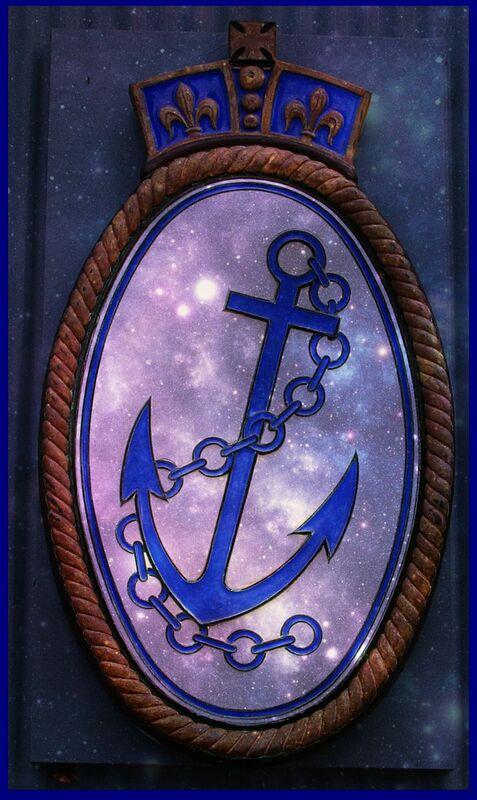 What are you anchors? How will you remove them so that you continue on with your life adventure? I am a vessel of life, love, and light! I am grateful for new opportunities you place before me. Surround my soul with light and my heart with love as I garner the strength to let go of the past and to move steadfastly towards the gifts you have prepared for me.